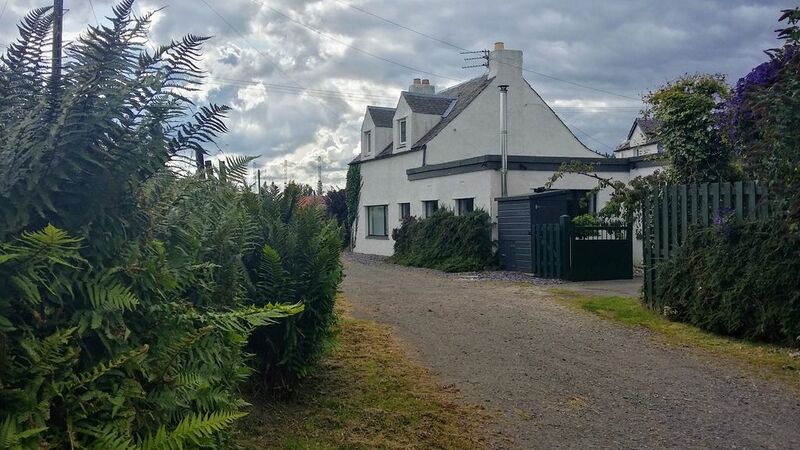 Self catering holiday home/cottage well appointed in rural Bannockburn /Stirling ideally located as it is central to all local routes and services . Scottish tourist board Approved visitor attraction's for example , STIRLING CASTLE , WALLACE MONUMENT, BANNOCKBURN HERITAGE CENTRE . . JUST TO NAME A FEW as there is so much to do in and around the local area. The cottage consists of two double bedrooms and one twin room , a large lounge. It also has a day room furnished to a high standard, as with all rooms . This room features a futon that could be used as another sleeping area if required . And French windows that lead on to a large superb decking area, including a hammock and seating area , there is also a brick built barbecue next to the decking and seating area perfect for outdoor catering. Pre arranged activities prior to arrival: There is so much to do in and around the local area . From outdoor activities , swimming , Go karting ,Archery, Shooting, Steam Railway , Visitor Centres ,Castles ,Monuments ,Dry ski slopes, Indoor all year ski centre, Ten pin bowling, Golf, Shooting , Off road, Theme parks , but most important off all not to forget the magnificent scenery/wildlife and all the nature walks and heritage trails, And many many more attractions we will help you plan your stay here at ochil cottage if you wish so that you can go home with great memories and hopefully not have missed anything out on your break. We look forward to you booking with us and hope to here from you soon. The bathroom comprises of a toilet ,,wash hand basin A bath and shower combined with shower enclosure. Toiletries will be provided , toilet roll , towels . and if there anything else you require before you arrival we will do our best to accommodate you . Outside the first thing you will notice is the huge court yard area surrounded by nice plants and trees, Also a fence and wall for your privacy . In the court yard we have a large decking area with hammock and outside brick built barbecue . with modern solid wood picnic table witch seats up to 8 people . Beautiful cottage. Plenty of room for everyone with 3 bedrooms and 2 living rooms. Parking outside. Warm and cosy, plenty of towels provided, amazing huge bath! Beautiful big kitchen. The dogs next door were lovely, especially our best pal Lara! And horses in the field across. The cottage feels very remote but is walking distance into Bannockburn, so ideal if you want to get away from it all. Only tiny criticism is that the internet isn't the best, but you get decent 4g coverage there anyway. Lovely welcome, would stay here again anytime! Wonderful hidden treasure - close to so many activities! This lovely cottage is close to so many things to do in the Stirling/Bannockburn Area. It is also a quick drive to Edinburgh or Glasgow. We spent 9 days exploring from this snug home. Each day when we returned, we felt welcomed and comfortable. Everything we required was supplied and our hostess, Anne, checked in regularly to make sure we had everything we needed. Would love to come back and spend time here again! Definately home away from home! This cottage was fantastic!!! We were able to get to everywhere we wanted to go with ease. Anne is super friendly! can't wait to go back! The six of us had a fantastic time at Ochil Cottage. Close to Sterling, but far enough away for a peaceful and quiet vacation. The cottage is centrally located so we were able to see a lot of the country over our two week stay. There are a couple of mini-markets close by and two larger grocery stores a couple of miles away. Our first day we had an excellent lunch at the nearby Tartan Arms. Very friendly staff that made us feel welcome. Would also recommend Bruno's for take away pizza or fish and chips and the Bannockburn Coffee House for breakfast or lunch. Ann was a gracious host, greeting us as soon as we arrived to give a tour of the cottage. Thanks again Ann, we had a great vacation. There is so much to do i cant list them all but here is just a few either within walking distance or a short drive. 100 meters to the back of the cottage is a driving range and 9 hole golf course non members welcome it also has a fantastic restaurant . then 1mile away you have the world famous Banockburn heritage centre ( Robert the Bruce King of Scots ) Views from the cottage also include the beautiful Stirling Castle . And the Wallaces monument these are a must see . 6 miles away you also have the Blair Drummond Safari Park witch leads onto Callander the gateway to the Trossachs and Highlands . The Campsie fells and Dumyat are also within sight of the cottage great for walking and a bit of hill climbing . We have action adventure activities centres who provide off road 4x4 style , Paintball , Archery ect. Museums. Boat trips on Loch Lomond 30 minutes away. Steam Railway 15 mins , The famous Falkirk Wheel . We have information on all activities days out you can plan ahead. Other Activities: quad biking , go carting , clay pigeon shooting/hunting , off roading, knockhill race track.